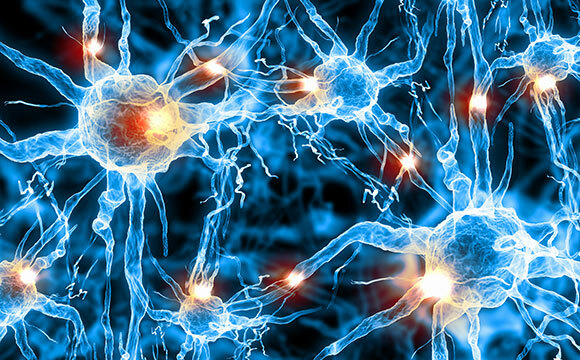 Overly excited nerve cells cause problems like epilepsy and tinnitus. A new drug that selectively affects potassium channels promises relief with fewer side effects. Epilepsy and tinnitus are both caused by overly excitable nerve cells. Healthy nerves have a built-in system that slams on the brakes when they get too excited. But in some people this braking system doesn’t work, and the nerves run amok, signaling so much that the brain gets overloaded and has a seizure (epilepsy) or hears phantom ringing (tinnitus). About 65 million people worldwide are affected by epilepsy. The numbers on tinnitus are not as clearcut, but the American Tinnitus Association estimates 2 million people have tinnitus so disabling they have troubling functioning in daily life. The existing drugs to treat epilepsy don’t always work and can have serious side effects. One of the more effective, called retigabine, helps open KCNQ potassium channels, the “brakes” that shut down the signaling of overly excited nerves. Unfortunately, retigabine has awful side effects. Because of this, it’s usually only given to adults who don’t get relief from other epilepsy drugs. Several years ago, doctors around the world began reporting infants with severe, brain-damaging seizures. Genetic testing showed that the children with this problem had genetic differences in their KCNQ potassium channels. Most existing anti-seizure drugs don’t work for these children, and few want to give babies retigabine because of its side affects, which include sleepiness, dizziness, problems with urination and hearing, and an unnerving tendency to turn people’s skin and eyes blue. The most important question to answer was whether SF0034 works on KCNQ potassium channels the same way retigabine does, and if so, was it better or worse that its parent compound? KCNQ potassium channels are found in the initial segment of axons, long nerve fibers that reach out and almost, but don’t quite, touch other cells. The gap between the axon and the other cell is called a synapse. When the cell wants to signal to the axon, it floods the synapse with sodium ions to create an electrical potential. When that electrical potential goes on too long, or gets out of hand, the KCNQ potassium channel kicks in. It opens, potassium ions flood out, and the sodium-induced electrical potential shuts down. In some types of epilepsy, the KCNQ potassium channels have trouble opening and shutting down runaway electrical potentials in the nerve synapse. Retigabine helps them open. There are five different kinds of KCNQ potassium channels in the body, but only two are important in epilepsy and tinnitus: KCNQ2 and KCNQ3. The problem with retigabine is that it acts on other KCNQ potassium channels as well. That’s why it has so many unwanted side effects. Tzingounis is pleased as well. “This [SF0034] gives me another tool, and a better tool, to dissect the function of these channels,” Tzingounis says. “And we need to find solutions for kids–and adults–with this problem,” he says. 10 Comments on "New Drug to Quiet Brain, Relieving Epilepsy and Tinnitus"
Good studies. I believe a lot of people would benefit from this. This is wonderful news,maybe some relief will come to people suffering from epilepsy and tinnitus. Tinnitus has tormented me this past year and has caused pain for me and my family. if the politicians in the u. s. suffered the nightmare of tinnitus there would be millions of dollars available for research approved in record time . I’ve had tinitus now for 2and half yrs, both ears . Never goes away I feel like I’m going insane I can’t stand it anymore I have severe migraines and cluster headaches also, and I’m on Topamax now I find out that topamax can cause tinitus I’m sick of all these Dr’s they don’t care and they never have answers, I really hope they find something that gets rid of this tinitus bc I don’t know how much more I can stand. I’ve had tinnitus since I was 18, I’m 54 now. It has progressively gotten worse. You just can’t explain it to people who don’t have it. It is TORTURE. 24/7! I have hearing loss from it, but worse it makes me want to die. I pray someone finds a cure ASAP! I have had ringing for so long it has taken 20 percent of my hearing away. I hope this is the help that so many of us need. Talk to your doctor. Hopefully he or she will have more info on the med. I have used Pristiq for the past 2 years and it has muffled what we’re suicidal levels of tinnitus. The tinnitus is still bad, but not as piercing. Seroquel can also be very helpful. These are all dependent on the person, but I would suggest worth a try.